Garver has been selected to provide engineering services to replace an 84-year-old bridge over a rail yard in North Little Rock, Arkansas. The city is proposing to replace the Main Street Viaduct over the Union Pacific Railroad. The 0.35-mile project is expected to replace the existing facility with an overpass or underpass and cross five main line railroad tracks, two spur tracks, and local streets. The design is also expected to accommodate the possible future expansion of the River Rail Trolley System along Main Street. 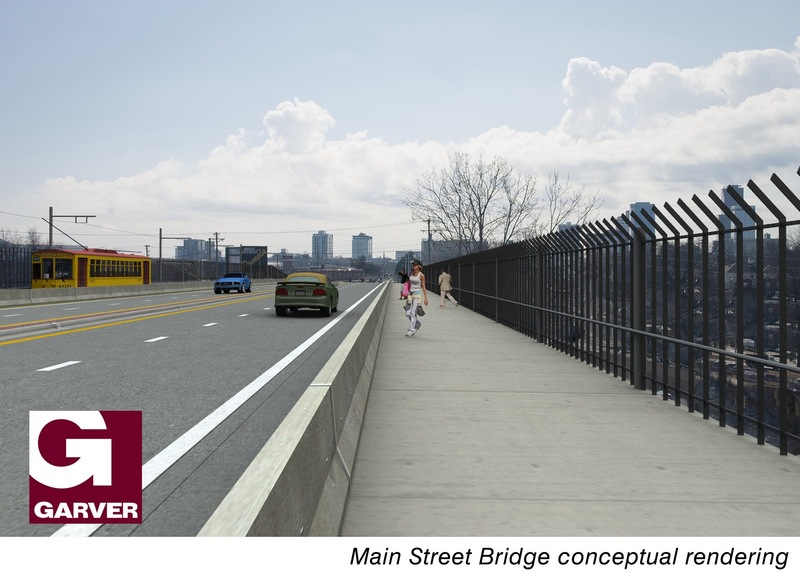 Garver's services will include design, evaluating alternative cross sections (similar to the conceptual rendering shown), and construction engineering and inspection.